In what was 2015 presidential defeat of former President Goodluck Jonathan, which paved the way for the then opposition party All Progressives Congress (APC) t oascend to power, Bauchi State Governor Mohammad Abdullahi Abubakar was single handedly defeated by a former minister of Federal Capital Territory (FCT), Senator Bala Muhammed. He is also from the opposition Peoples Democratic Party (PDP). Abubakar’s many sins build up over time when Bauchi people were put to serious hunger due to bad governance. Ordinarily, the people depend on salaries but Abubakar waged war on the workers in the name of sorting ghost workers to reduce the workforce. He could not understand why the state’s workers should be equal to Kano State’s. Therefore, a series of verification exercises were carried out to fight the menace, while citing the dwindling resources of the state as reason. The tide increased and also leaped to the traditional institution. Some village heads lost their staff. They were down graded, giving that their installation was part of sabotage efforts created by former Governor Isa Yuguda to frustrate Abubakar’s tenure. Apart from these, his refusal to conduct local council election after four years also earned more enemies for his government. This was in stack contrast to the electorate’s expectations after casting their votes for APC’s change mantra in 2015. Although the governor repeatedly said that he usually have “little or nothing” left to cater for other capital projects after payment of salaries. His critics are of the opinion that capital projects and human development suffered setbacks during his tenure. A former Minister of Health for State and governorship candidate, Professor Ali Muhammed Pate, who contested primary against Abubakar, had once lambasted him for his failure to complete some major roads in the state that had been awarded for over three years. In October 2018, WaterAid Nigeria in the statistics it released, 60 per cent of Bauchi residents lack access to clean and portable water and put the state among the states where open defecation is still endemic. Similarly, National Bureau of Statistics (NBS) said in the same year that Bauchi had 1.3 million out-of-school children, the highest figure across the federation. These claims surprised the Abubakar administration as it claimed that the surge in out-of-school children was exacerbated by the internally displaced persons from across the troubled Northeast states as many of them migrated to Bauchi, “a peaceful abode”. DIRECT primary method was deployed by APC but it later resulted into a lacuna which, at the end, consumed the ruling party. Initially, APC had four major aspirants: Governor Abubakar, Dr. Muhammad Lame, Pate and Captain Bala Jibrin (rtd), who all lost to Abubakar in what they described as “mock primary” during a joint press conference they held in October 2018. They concluded that there was no primary election in the state. According to them, a series of petitions was sent to the party’s national leadership requesting for a fresh primary election “through a democratic process”. Consequently, a reconciliation committee headed by Governor Tanko Almakura of Nassarawa pleaded with the aggrieved members to withdraw suits filed against the party and promised justice for them. LAME, like Jibrin, vowed not to leave Abubakar in peace until justice that the party stands for is seen to have been done. With this unresolved rancour, Pate backed out of the party to contest under the platform of Peoples Redemption Party (PRP). Lame and Jibrin remained aggrieved members with divided loyalties for APC. But Abubakar absentmindedly handled their grievances and was deceived by the throng of supporters at Abubakar Tafawa Balewa Stadium when President Muhammadu Buhari came for his endorsement in January 2019. He allowed himself to believe that the crowd that came to welcome Buhari was for him. He also misled into believing that 2015 was about to repeat itself, as he won through the change mantra of APC. But little did he know that the narrative had changed.Some of the aggrieved members expressed support for President Buhari’s re-election, but paradoxically worked against APC at the state level. According to a member, Bauchi House of Assembly, Hon. Aminu Tukur, said: “APC is our party, but our problem with the president is his endorsement of Governor Abubakar. No doubt, we are still in the party but believe me we shall make sure that the people of Bauchi are set free from this administration”.Tukur had also lambasted Abubakar for constantly travelling to Abuja while abandoning major issues at home. THE Speaker, House of Representatives, Hon. Yakubu Dogara, after his defection back to PDP in late 2018 due to what he called “frustration and lack of democratic process” in the APC, he, however, led a force to dethrone Abubakar’s “maladministration” and championed the coalition movemment by some governorship candidates who agreed that Abubakar should leave power because of his failure to perform as expected. Dogara had always criticised the APC government while accusing it of initiating its ghost workers into the state’s workforce after a series of verification to fish out same, accusing the governor of allegedly embezzling over N400 billion from accruals to the state. Though Abubakar’s Press Secretary, Abubakar Al-Sidque, denied these allegations. The five candidates from the different parties – PRP, PDP, NNPP, ADC, APM and some aggrieved members of APC, however, failed to agree on a consensus candidate against Abubakar and a lone mission was strengthened by Bala Muhammed of PDP. Professor Pate of PRP opined that his decision to rescind the pact was because of “injustice which the marriage is centred on” and therefore believed that the idea was introduced to benefit PDP’s Bala.”One of them was telling me to step down for him because he has money to fight Abubakar and the other one was saying I should support him because he has thugs to face the Governor,” Pate said. The coalition untimely hit the brick wall. IT all started like a drama. 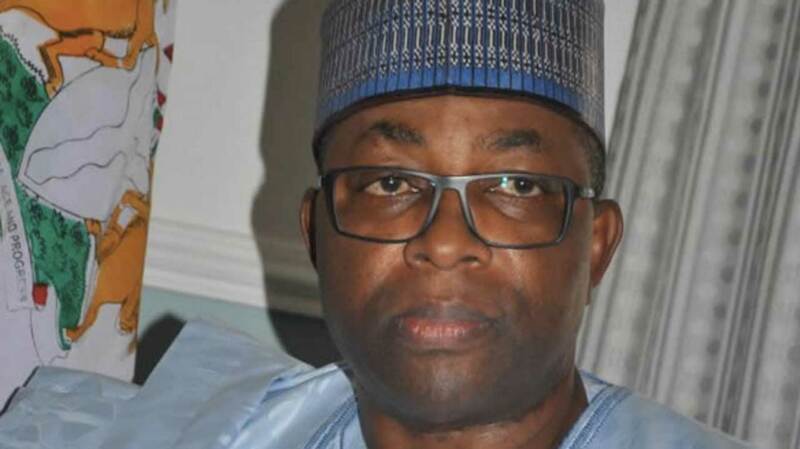 Abubakar received his last accolades as the Governor on March 09, on election day at Makama Polling Unit 078 when he arrived with his two wives to cast their votes. Supporters were chanting 4 + 4, raising their fingers up and the governor replied with the same political slogan that’s associated with Buhari’s second term bid. Shortly after the voting, counting commenced and Abubakar lost his unit to Bala of PDP who got 358 votes against Abubakar’s 288 votes. This development signaled bad news for him and the APC camp was thrown into confusion. In all the results announced by the Bauchi INEC, the electorate in the capital city expressed rejection of Abubakar. He won in 15 out of 20 local government areas while his opponent took the remaining five with wide margins to defeat the incumbent. While collating the results from different councils by the returning officer, Prof. Muhammed Kyari, Tafawa Balewa’s collation officer, Mrs. Dominion Anurike, was interrupted by an APC agent who sought the results of the local government be cancelled because there was no collation, giving reason that hoodlums carted the results away. Kyari, however, asked Mrs. Anurike to present her result. Looking forlorn, Anurike, said: “There was security threat at the collation centre in Zwall and we were made to announce the results under duress. Hoodlums took away the original result sheet (Form EC08 1) and we have to regenerate those results from the parties’ agents and compute them on the system. The party agents all agreed and assured of the authenticity of the result”. Prof. Kyari later asked whether the result was genuine but it was, however, objected to by the APC agent who insisted that the results’ announcement should be discontinued. After citing from electoral guidelines, Kyari said Anurike did not apply for replacement of the stolen sheet before recording it on duplicate and ruled that Tafawa Balewa result be cancelled and a new election date be fixed with 21 days. The pronouncement threw the whole state in electoral suspense, as the winner could not be declared without the remaining LGA result. Consequently, different groups, parties and even Dogara and other PDP chieftains protested INEC’s decision to cancel the result. However, the electoral umpire sent a fact-finding committee from its Abuja headquarters, chaired by Festus Okoye, to look into the issues. The committee, however, recommended that the results of Tafawa Balewa be obtained for collation and announced. Also, the spiked cancelled votes of 25,330 instead of 2,533 be corrected in Ningi Local Government Area. This did not go down well with Governor Abubakar whose opposition Bala was leading with 4,059 votes. He then went to Abuja for help and was told to go for court by President Buhari. He and APC headed to Federal High Court in Abuja to stop the collation of Tafawa Balewa results. The court later ordered INEC to collate and announce the results. But before this, there was a city wide protests by Bala’s supporters who demanding the declaration of their candidate. Women groups and youths demanded that Abubakar should honourably leave when the ovation was still loud. After the March 23 re-run election that still favoured PDP over APC, INEC declared Senator Bala Muhammed, having polled total votes of 515,113 against his closest rival (Governor Abubakar) who got 500,625 votes as announced by Prof. Muhammed Kyari. Immediately after the announcement, supporters of PDP were seen uprooting all APC and Governor Abubakar’s posters around 1:00 am, leaving only those of PDP and Bala. They carted away the irons and sold them. Shortly after the declaration of winner, Governor Abubakar conceded defeat and congratulated Senator Bala Muhammed, saying: “I wish to congratulate the Governor-elect of Bauchi State, Senator Bala Mohammed. I congratulate my brother, Sen. Bala on this victory at the polls. I am delighted to note that in spite of the intensity of the campaigns in our dear state, a peaceful election took place without bloodshed. Let me therefore invite the Governor-elect to join me in working out the process of a smooth transition. After a week, Governor Abubakar rescinded his concession of defeat saying: “The reason for my going to Abuja, in my capacity as a loyal and obedient party member, I went and met with the National Chairman of the APC, I met with the Vice President of Nigeria, I also met with the President of Nigeria. Just like I have said, I am an obedient member of the national body of the party. It was because of this that all these three places that I went to, each one of them said that the APC would file a suit in court to challenge the election results of Bauchi. Abubakar’s Missteps That Bala Must Avoid In Bauchi 0 out of 5 based on 0 ratings. 0 user reviews.